In this article, we have an overview of all the Battle Items in The Walking Dead: Road to Survival and tips for the use. Now that we have already informed you about general tips and strategies to fight, we will now go directly to the Battle Items. 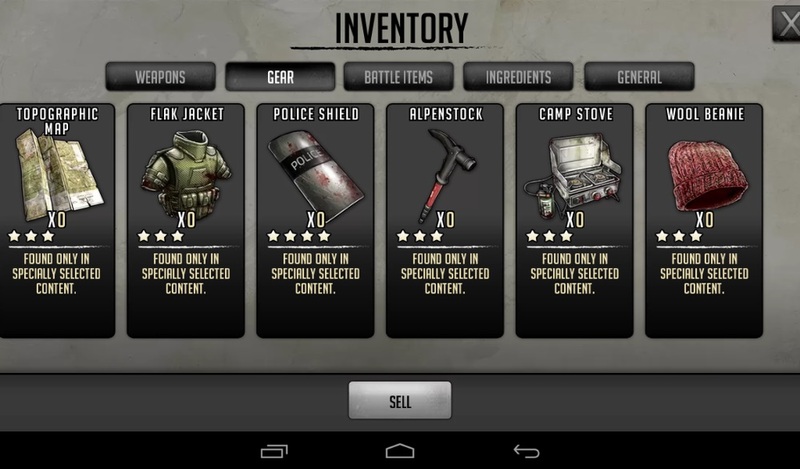 Combat Items can be used in the app The Walking Dead: Road to Survival in the world and on the road map. Overall, you can choose four different items, with the maximum amount is limited in each case. First of all, we want to show you, which battle items available. We have a great overview of the Battle Items that can be prepared in the workshop. In the second section, we then prepared a few tips on how you should use the Battle Items. A number of Combat Items can be produced in the so-called workshop. For this you not only the workshop, but also in parallel the town hall, because a certain Hall-stage is a prerequisite for upgrading the workshop. Below we have a list of Battle Items and their meaning. At the same time, we tell you at which workshop stage the items can be used and how many you can take with you. There are indeed more items that are often a reward for the daily missions. Interesting and very good, are the guts and grenades. With the guts you can give all team members camouflage, so they can not be attacked for one turn. In the second section, we have prepared some tips on how you can use the battle Items and which four you should take. If you’re relatively new to The Walking Dead: Road to Survival (but also later) you should take typically replenish and the bottles (Sedative and Berserk Bottle). With replenish you put the life energy of a member up again. Because you can take a total of 20 replenish, this is very valuable and a large quantity is available for you. With the bottle you can on the one hand increase your attack speed by 50% (but only one member) or reduce the defense by 50 percent of a number of opponents. Extremely valuable are grenades, guts and smelling salts. 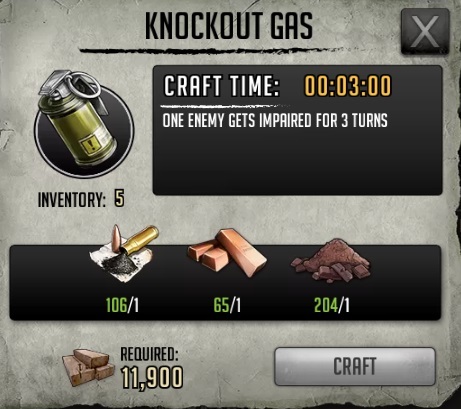 Smelling salts can be produced in the workshop at level 11 in The Walking Dead: Road to Survival. Even if you can take a maximum of 3 smelling salts, it is better because again more team members are available to kill the zombies and Co. If you have more tips and tricks at hand, how use the Battle Items, then write us a comment. We will then steadily expand this post. 5 Comments on "The Walking Dead: Road to Survival – Battle Items Overview + Tips"
What is the grindstone used for? I’ve tried to use it but it says no members available. What is the difference between the melee and the ranged team members? Melee are characters that fight hand-to-hand combat. Where Ranged Team members are the ones who use weapons that shoot such as rifles, guns, etc. Melee characters can not hit over obstacles and are often blocked. While Ranged Team Members can. It’s good to have multiple characters and line-ups for whatever the game throws at you. What is character cap for?